Since i created a level and didn’t have an enemy for it i decided to sketch one up really quick.. The enemies in my game are going to be objects in the real world merged with things from the evil dimension. 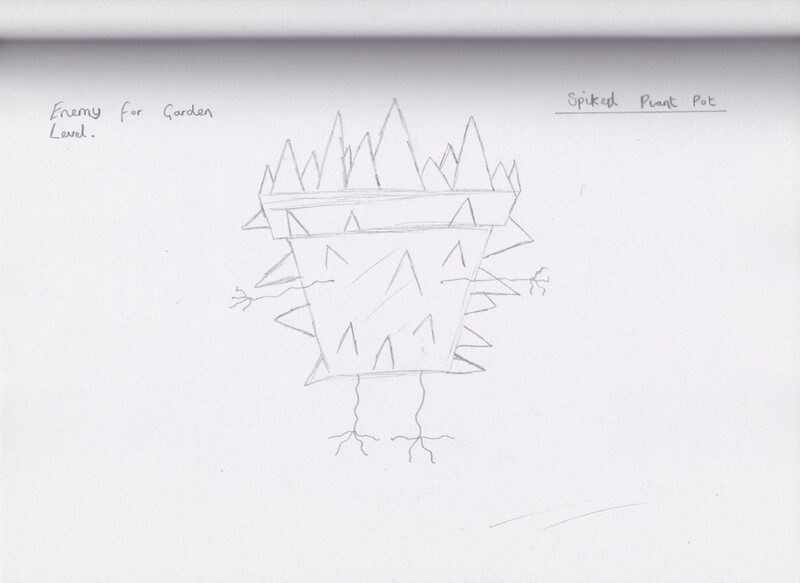 For example this spiked flower pot seen above. I also have some other idea’s for the enemies that will be inside the house like an evil toaster or TV, which will be quite funny.